This suggested itinerary combines two of our wonderful short tours with stays in hand-picked hotels in Kuala Lumpur, Singapore and Penang. 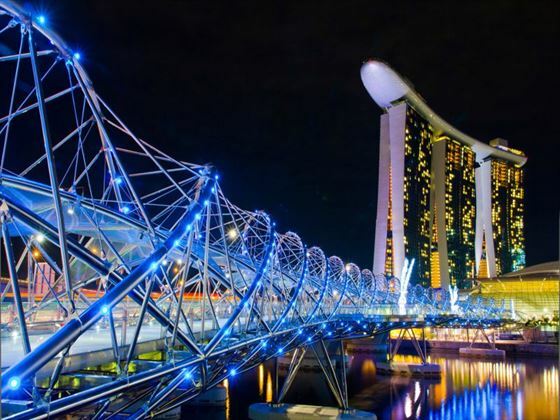 Stay two nights in Singapore with the option to add some great half day tours or simply explore at your own pace, then you will be collected by private driver for the northern journey to the port of Malacca, where you will stay in an authentic bed and breakfast overnight as part of our Malacca Experience - full details available here. 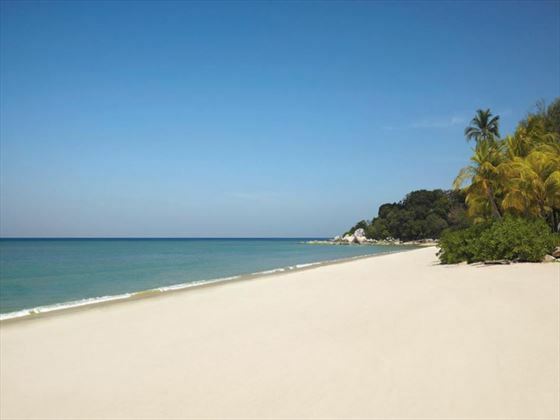 As you continue north and back to the coast, you will cross the causeway to Penang island for a wonderful five nights of beach holiday bliss with the option to add a half day tour of historical George Town. Fly home from Penang at the end of your stay. 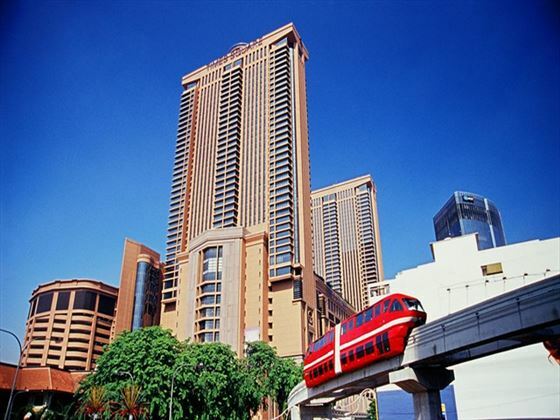 Fly overnight into Singapore and transfer to the Hotel Jen Tanglin, centrally located near the Orchard Road shopping district. 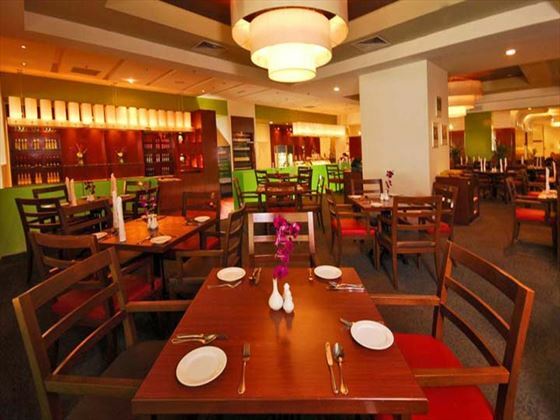 Settle into your centrally located hotel and enjoy a full day to explore the vibrant city. There are endless shops and restaurants for you to enjoy, and our chosen hotel is just a few minutes away from the renowned Botanical Gardens. 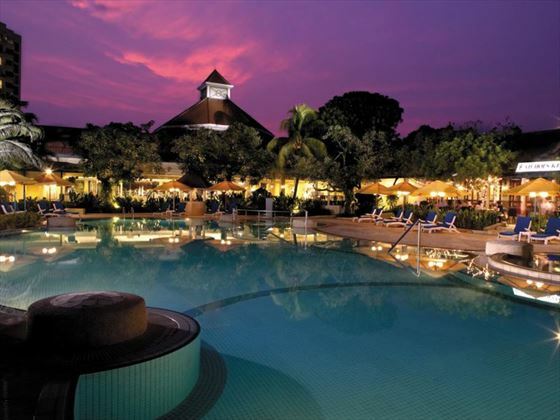 Today you will be picked up from your hotel for the drive north to the majestic town of Malacca. First stop is a visit to one of the traditional Malay houses, followed by a Peranakan lunch - a fusion of Malay and Chinese cuisine. This afternoon you will join a local expert, who will take you on a walking tour of Malacca, telling you stories of the colourful history of this fascinating city. 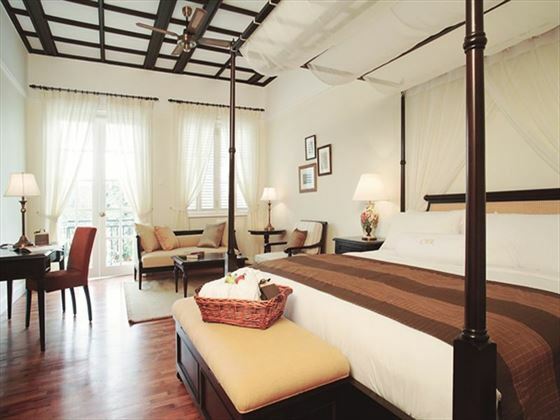 Tonight you will stay in the characterful Puri Hotel. Start the day with breakfast, and then enjoy a couple of hours free time to explore Malacca at your own pace. 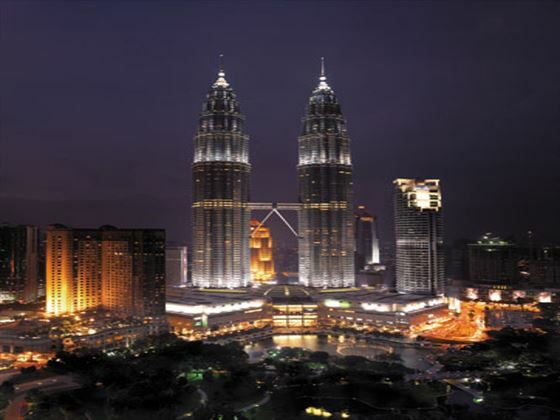 Then your driver will collect you for the drive up to Kuala Lumpur for two nights at the Berjaya Times Square hotel. Enjoy a day at leisure in the thriving city of Kuala Lumpur. View the majestic Petronas Twin Towers, visit one of the traditional temples and sample the delicious local cuisine. 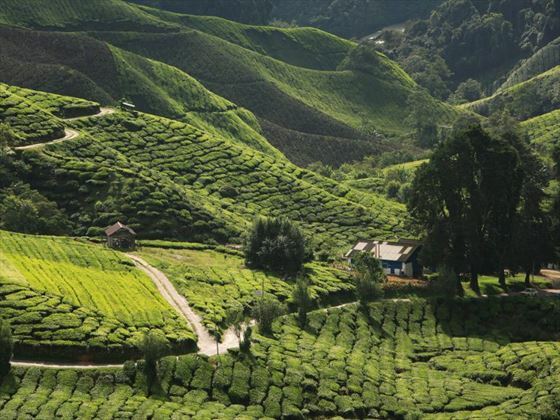 This morning your driver will pick you up from your hotel for the drive north to the Cameron Highlands. Climb into the cool interior of the country, named after Sir William Cameron who settled here in 1885. It's hey day was the Roaring Twenties, when the hill station estates were frequented by ex-pats escaping the heat of the city to enjoy leisurely pursuits such as playing golf and taking afternoon tea. 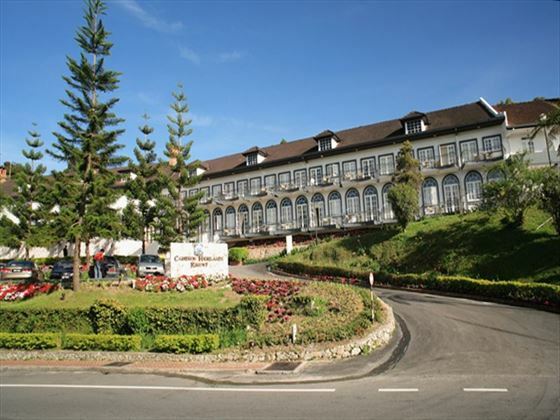 The Cameron Highlands Resort dates back to 1930 and reflects this elegant era. During your stay, you will enjoy an excursion to the famous Batu Caves, where a Hindu shrine is set within an impressive outcrop of limestone caves. Today you will have the opportunity to learn all about the tea industry and the history of the hill resort, going back in time in the Time Tunnel Museum. Enjoy another night stay at the Cameron Highlands Resort with plenty of rolling hills to explore - you can even opt to take a tea bath here. Take the final leg of your journey, with a drive up to Penang this morning. 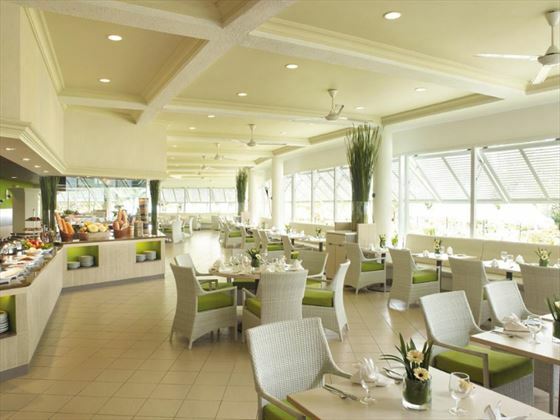 Here you will be staying in the comfortable Golden Sands Resort set on the sands of Batu Feringgi beach. We suggest a five night stay here, to allow time to relax and to experience the sights and tastes of Penang. 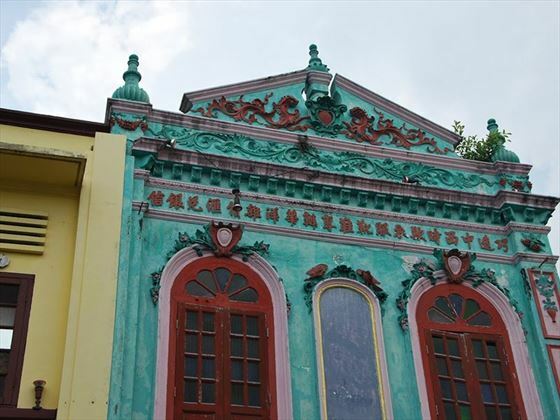 A half day tour of historical George Town will allow you to get your bearings in this melting pot of an island. The food here is a wonderful fusion of many Far Eastern countries and the buildings also reflect many different influences. 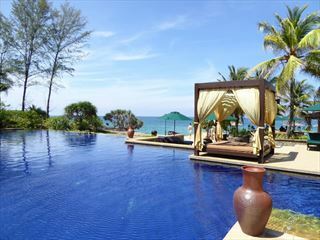 But you can also spend time relaxing in the lovely resort of the Golden Sands. Today it's time to catch your flight home. 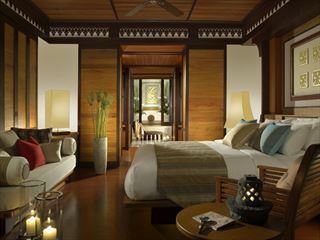 If you want to extend your holiday why not stay on the nearby idyllic island of Langkawi. 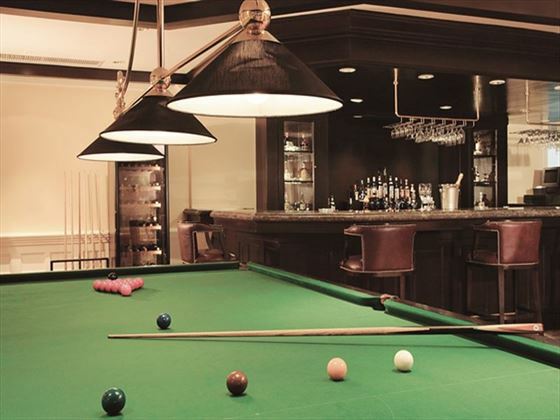 Or you can break up your journey home with a night or two in Dubai. Just ask for a tailormade quote. With just a few pockets of protected rainforest remaining as home to these critically endangered great apes, the opportunity to view them in their own habitat is truly a once in a lifetime experience. 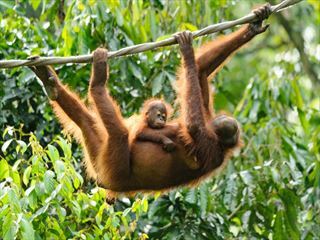 One of the best places to do this is the Sepilok Nature Centre in Sandakan, Borneo. 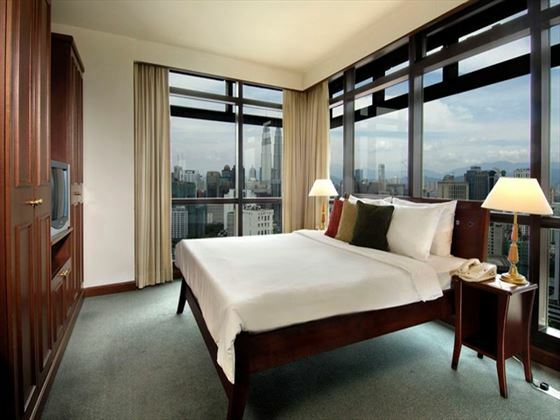 An urban retreat in the heart of Kuala Lumpur, the Berjaya Times Square Hotel offers guests truly breath-taking views of the city skyline. Close to the malls, attractions and nightlife, your vacation in Kuala Lumpur is guaranteed to be something special. A gorgeous resort located among picturesque tea plantations and rolling hillsides, the Cameron Highlands Resort is romantic, elegant and tranquil. The facilities and rooms are perfect for a relaxing getaway, but the real highlight is the scenery – it’s breath-taking. 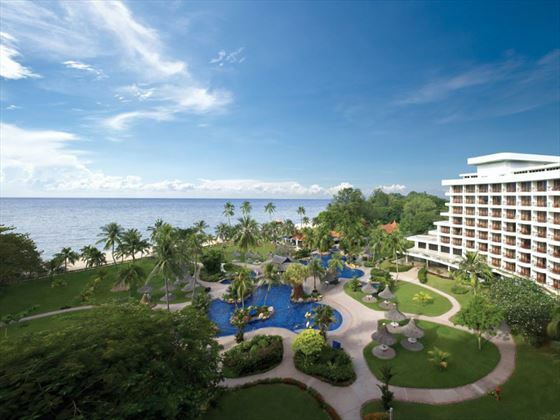 Having recently undergone a redevelopment, Golden Sands Resort by Shangri la is a luxurious, sophisticated and elegant tropical haven for the discerning traveler. With easy access to the beautiful beach and a great selection of activities on-site, you’ll be forgiven for never wanting to leave.